These photos are taken from pre-1997 Russian sources (which are considered public domain); from collections of personal photos (attributed where relevant); and from Wikimedia Commons, which includes public-domain material from Russian and US government sources. Annotations are the author’s. Page references are to the print book. Most if not all of the people on this page are also mentioned elsewhere on website, either in interviews or in articles (sometimes as interview subjects or authors) — you can use the search function at top right to find where. Click on any photo to open a larger or uncropped version (where available) in a separate frame. Poor OMON guy. It must be embarrassing to arrest that great dissident lady, Ludmilla Alexeyeva! Everyone in the country knows who she is and honors her. March 2010. Georgy Arbatov (left) headed the USA/Canada Institute in Moscow and probably had the most contact of any Soviet citizen with Western peace researchers. Here he is talking with Colin Powell. 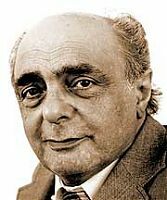 Lev Artsimovich. 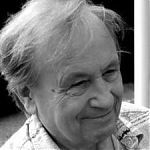 An influential physicist who worked on nuclear fusion and plasma, Artsimovich participated actively in Pugwash. He died in 1973. See pp, 65, 120, 124. In this 1987 Beyond War meeting in California, Alexander Nikitin is the first person on the left in the bottom row, while at the other end of that row, left to right, are Anatoly Gromyko, Kenneth Boulding, and Sergei Kapitza. In the third row, from left to right are Theodore Taylor (an American nuclear weapons specialist), Donald Fitton, and Andrei Melville. 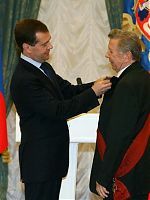 Here President Medvedev is decorating Yevgeny Chazov, who was personal physician to several general secretaries of the CPSU before co-chairing the International Physicians for the Prevention of Nuclear War with another cardiologist, Bernard Lown. For thirty years Norman Cousins was editor of Saturday Review magazine. He carried on back-channel diplomacy for President Kennedy, Chairman Khrushchev, and Pope John XXIII. A dedicated disarmament activist, he founded the Dartmouth Conferences, which brought together high level Soviets and Americans for sustained dialogue. Jiří Dienstbier. Because the journalist Dienstbier was active in the Charta 77 movement, the Communist regime imprisoned him and denied him the right to work in his own profession. Immediately after the Velvet Revolution, however, he became foreign minister. He died in 2011. See p. 193. Alexander Dubček and Zdeněk Mlynář. They led the Prague Spring. Dubček became First Secretary. Mlynář, on the right, was Gorbachev’s closest lifelong friend. See pp. 68, 72-73, 75-76,83, 86, 313-14. Randall Forsberg. The leader of the Freeze Movement in the United States, Forsberg was also a knowledgeable specialist in security matters, promoting especially a commitment to non-intervention abroad as a way of preventing war. She had considerable influence among Soviet military officers. She died in 2007. See p. 163. Dmitry Furman is a Moscow sociologist who writes about religion and politics. Photo Finnish Institute of International Affairs. Gennady Gerasimov. As the press secretary for the Soviet Foreign Ministry, Gerasimov often served as Gorbachev’s spokesman too. He was a liberal man who had spent time in Prague at Problems of Peace and Socialism and also knew the U.S. well. See pp. 13,14, 45, 78, 134n5, 163, 183,186. Vitaly Goldansky. The leader of the Russian Pugwash group during most of the 1980s and 1990s was a chemist, Goldansky. When the intelligentsia was turning against Gorbachev in 1990, he and Burlatsky were among the few intellectual leaders who opposed Yeltsin’s and Sakharov’s plan for a general strike. See pp. 113, 124-25, 174, 198. Vice-president Joe Biden introduces President Obama to Mikhail Gorbachev at the White House in March 2009 (Official White House Photo by Pete Souza). Gorbachev and Palazhchenko. Probably the best interpreter of Russian in the world, Palazhchenko was always at Gorbachev’s side on trips abroad. He now manages the Gorbachev Foundation in Moscow and continues as Gorbachev’s very close aide. See pp. 221, 314-15. Sergei Grigoriants. As a devoted dissident during the 1980s and 1990s, Grigoriants published a regular newsletter criticizing the regime and keeping alive the memory of Stalin’s victims. See p. 20. Col. Robert Helvey. Serving in Burma, he hoped to find nonviolent ways of overcoming that dictatorship. 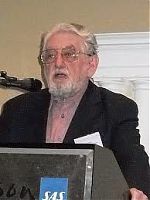 It was Gene Sharp’s methods that impressed him, and he had an opportunity to assist Serbia’s Otpor group to plan the campaign that ousted Milosevic. See p. 268. Mary Kaldor. 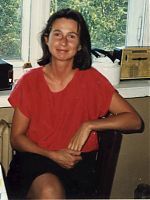 A British academic and activist with a strong affinity for dissidents, Kaldor was a leader of European Nuclear Disarmament and Helsinki Citizens Assembly during the 1980s and 1990s. She now teaches at the London School of Economics. See pp. 104, 157, 164-68, 217. Going on interviews with me apparently stimulated Julia Kalinina’s innate curiosity. Before long she took up journalism and became a famous war correspondent. 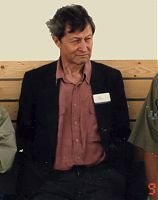 The Nobel laureate Peter Kapitza. (1894-1984). Sergei Karaganov. A civilian specialist on military affairs, Karaganov was one of the most influential experts who promoted the doctrine of reasonable sufficiency. In 2011 he is a dean at Moscow State University. See pp. 14, 140-41, 146, 155, 236. Andrei Kortunov. A liberal, democratic political analyst who is now the president of the New Eurasia Foundation in Moscow. See pp. 14, 146, 155. Sergei Kovalev was born in 1930. During a distinguished career in biophysics, he was incarcerated for his human rights advocacy and spent ten years in prison and internal exile before serving as a deputy in the Duma. Oleg Kozlovsky. An activist in the youth group Oborona, Kozlovsky continues to lead protests against the suppression of democracy in Putin’s Russia. See pp. 272-74, 280. Ida Kuklina. A current leader of the Committee of Soldiers’ Mothers, Kuklina is also a prominent scholar specializing in civil society and in security issues at IMEMO. See pp. 275-76. Mikhail Gorbachev and Alexander Likhotal, the president of Green Cross International, the environment-and-peace NGO that Gorbachev founded when he left office. It is based in Geneva. 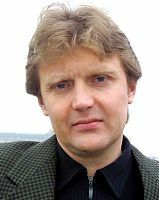 Alexander Litvinenko, who had fled from Russia to London, was poisoned by polonium and died in 2006 after having written an exposé of his former employer, the FSB. Bernard Lown was a world-famous cardiologist when he persuaded Chazov to join him co-chairing International Physicians for the Prevention of Nuclear War. He worked hard in the Soviet Union promoting the idea of unilateral initiatives. Trofim Lysenko. For many years, genuine science in the Soviet Union was forced to follow the bogus research findings of Lysenko, who claimed to have demonstrated that acquired characteristics can be transmitted genetically. See p. 38. Lindsay Mattison. An American development expert, Mattison was asked by Gorbachev’s aide, Georgy Shakhnazarov, to serve as an intermediary with the Afghans to secretly try to negotiate a peace deal. See pp. 160, 178-89, 198. Olga Medvedkov. The Medvedkovs were leading members of the Moscow Group for Trust. After they lost their academic posts they were allowed (urged) to leave the Soviet Union. They settled in Ohio, where both Olga and her husband Yury are geography professors. See pp. 23, 236. Andrei Melville. 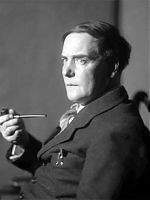 A pro-democratic political scientist, Melville briefly served as secretary of the Soviet Peace Committee. In 2011 he is vice-rector of MGIMO University. See pp. 7, 142, 207. Saul Mendlovitz. As a specialist in international law, Mendlovitz led the World Order Models Project and, toward the end of Gorbachev’s presidency, collaborated on research projects with Shakhnazarov. See p. 186. Zdeněk Mlynář. After he and Gorbachev were roommates in university, they remained lifelong closest friends. Mlynář was one of the leaders of the Prague Spring, for which he was severely punished. The two men could not communicate for many years but eventually resumed their friendship. Their discussions about the past and their respective political evolutions was published under the title, “Conversations with Gorbachev.” See above, for his photo with Alexander Dubček, and also see pp. 68,73,75-76,83, 313-14. The independent peace organization, Group to Establish Trust, in Moscow in its early days . Starting from top left: Sergei Batovrin, Mark Reitman, Vladimir Fleyshgakker, Vladimir Brodskiy. Front row: Yuri Medvedkov, Valery Godyak, Maria Fleyshgakker, Olga Medvdkova with son Mikhail. 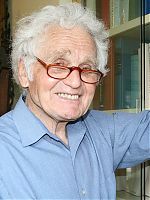 Yury Orlov, a physicist and one of the founders of the Moscow Helsinki Group, emigrated to the United States and works now at Cornell University. Vladimir Petrovsky. 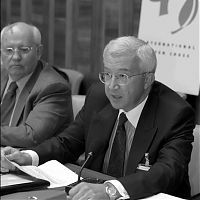 After a distinguished career promoting liberal policies in the foreign ministry, Petrovsky served as Under-Secretary General of the United Nations. He served as director-general of the UN Office in Geneva from 1993 until he retired in 2002. That office is the headquarters for the Conference on Disarmament, which unfortunately has been stalled in most of its operations because it can take a position only on the basis of consensus, which is hard to accomplish..See pp. 14, 65, 110, 114, 130,144, 159, 179. Lev Ponamarev. 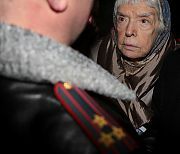 One of the strongest activists on behalf of human rights and democracy in Russia in 2011 is Ponamarev, who continues to demonstrate in the streets with such allies as Lyudmilla Alexeyeva. See pp. 18, 276-80. Srdja Popović. 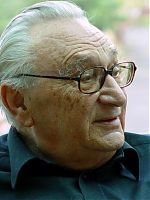 In 2000, a group of young Serbs staged a successful nonviolent revolution against Slobodan Milosević after the Yugoslav wars, following the advice of Gene Sharp. Popović was a leader in that movement and has since been active in the Belgrade organization, CANVAS, which aids pro-democracy movements in other countries. See pp. 268-71, 276. Yevgeny Primakov carried on a lot of diplomatic work in the Middle East. 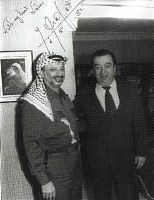 Here he is with Yasser Arafat. He has served as Russian Foreign Minister, Prime Minister of Russia, the last Speaker of the lower house of the Supreme Soviet of the USSR, and chief of the intelligence service. Ronald and Nancy Reagan met Mikhail and Raisa Gorbachev for a state dinner in 1987 (official White House photo). Sergei Rogov. When Georgy Arbatov retired from his post as director of the USA-Canada Institute in Moscow, Rogov assumed that role. He frequently publishes his analysis of security matters today. See p. 236. Jaroslav Šabata. One of the leaders in the Prague Spring and later in the Velvet Revolution, Šabata was highly critical of Gorbachev’s reluctance to speak frankly in public during one visit to Czechoslovakia. See pp. 74, 76. Harold Saunders. For several years the leader of the Dartmouth Group has been Saunders, a former diplomat who has developed trainings and publications to assist other activists to run discussions of controversial issues in their hometowns. See pp. 109-111. Georgi Shakhnazarov spent most of his career working among Eastern European Communists. He became a close adviser to Gorbachev and considered himself a “futurologist.” He died in 2001. Gene Sharp. The most influential thinker and promoter of nonviolence in the world today, Sharp is guides pro-democracy activists everywhere. His organization in Boston is the Albert Einstein Institution. See pp. 210, 215,261-62. Victor Sheinis. 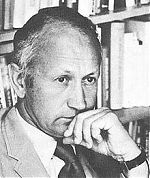 An unusually bold “Termite,” Sheinis was kicked out of his university post in Leningrad but later, under Gorbachev, became a prominent scholar at IMEMO and, for a time, a member of the Russian parliament. See pp. 45-46, 51. Eduard Shevardnadze. Throughout most of Gorbachev’s period as leader of the country, Shevardnadze was his foreign minister. He resigned, predicting trouble with the right wing, and eventually became president of his newly-independent homeland, Georgia, though he was ousted by the “Rose Revolution” of 2003. See pp. 14, 19, 117, 127, 176, 181, 185. Nodari Simonia. One of the boldest “Termites” of his day, Simonia was quick to publish criticisms of the Soviet war in Afghanistan. He is a prominent scholar at IMEMO. See pp. 14, 45. 48-49, 52. Alexander Solzhenitsyn. This novelist’s brave contributions began with “One Day in the Life of Ivan Denisovich,” but he is best known for “The Gulag Archipelago,” which described life in Stalinist prison camps. He won the Nobel prize for literature in 1970 but was expelled from the Soviet Union in 1974. After the Soviet Union was dissolved, he returned to his own country, expressing a continuing sense of longing for traditional, Orthodox Russian society. See pp. 20, 63, 191, 288. Jeremy Stone (seated) is the guest of Yevgeny Velikhov (standing) at a dinner hosted by the Public Chamber, the Moscow GONGO that Velikhov chairs. Both men were active in stopping the nuclear arms race between the two superpowers, especially in the 1980s. Photo belongs to Jeremy Stone and is from his web site: Catalytic Diplomacy. Junsei Terasawa. As a Japanese Buddhist monk, Terasawa had been meditating in the Himalayas when he had a vision of the world burning. From that point onward, he has devoted his life to peacemaking, leading marches for example into Chechnya with the Mothers of Soldiers. See p. 230. John Tirman. The KGB wanted a copy of Tirman’s manuscript before it was published, for they were collecting ideas about unilateral initiatives. He now teaches at MIT. See pp. 160-62. University student Alexander Ulyanov was executed as a terrorist for planning to assassinate the Czar. His family, previously rather conservative, took up his political causes. His brother Vladimir became better known as Lenin. Frank von Hippel and Andrei Sakharov at the Sakharov apartment in Moscow, January 1987, just after the Sakharovs had returned from house arrest in Gorki. A few days later Sakharov had his first meeting with Gorbachev, which von Hippel attended. Sakharov was the father of the Soviet H-bomb, but became most famous for his human rights activism. Alexander Yakovlev spent ten years as Soviet ambassador to Canada. Brought back to Moscow, he became a close adviser to Gorbachev and was called the “godfather of glasnost.” He died in 2006. Grigory Yavlinsky. As a young economist at the time, Yavlinsky was asked to develop a plan for converting the state-run Soviet economy into a liberal one with free-market influences. However, Gorbachev did not implement his “500-day plan.” Later Yavlinsky served as leader of the liberal Yabloko party and ran for the presidency of Russia. See pp. 184,221,226,243-44, 257.